If you’ve never tried nut milk before, it’s a must! This type of milk is made from nuts instead of dairy. I think it's superior to dairy for many reasons. The nutritional content is greater and I like the taste. Too much dairy is also inflammatory and mucus forming to your body. The beautiful thing is that you don't have to be dairy free to enjoy a good nut milk alone, in your smoothie or in nut milk juice combo. Make it any time from whatever stash of nuts you have in your home. All you need is a Vitamix, gear juicer or a basic blender. The most common way to make it is with a blender. But most people don’t know that you can easily make it with your Hurom or Omega Vert juicer, too (there are a few others that can, but these are my fave). Probably the most favorite of all the milk’s is almond milk, I think in part to the commercialization of it. Any favorite nut you may have on hand will work. Be careful of the store bought types of milk- They have been pasteurized and have lost most, if not all, of its nutrients. That’s why they fortify it with vitamins. It’s a much healthier option to make it yourself. They also have scary ingredients added to them to stabilize the formula, and hold its shelf life. Make it yourself and it tastes better and is better for you. Use fresh raw pecans, walnuts, almonds or hazelnuts when making your milk as they have retained all the nutrients from not being pasteurized and heated. It's best if they are soaked in filtered water. The time really doesn’t matter that much. The simplest way is to put them in a bowl of water overnight or while your at work. This way you won’t have to think about the timing. Make sure you let them soak for at least for 4-6 hours. Once the nuts are hydrated, you can place them in your blender along with some fresh filtered water. Use about 1 cup of water to 1 cup of nuts. I like to add honey or some of the add-ins I mention below. Process the blender on high speed until completely blended. The liquid will be white in color. If you are using your blender, then you’ll need a nut milk bag or a cheese cloth. Over a bowl, pour it into the special bag or cheese cloth so that it can catch the pulp. You might have to do this several times, depending on how much you are making. Squeeze out the pulp and save for later use. Once the nuts are hydrated, you can place them in your juicer. Be sure to also put a bowl or cup underneath your juicer to catch the milk, if it doesn’t already have one. Add the nuts to the juicer. Start with 1 cup, which will yield approximately ½ cup of nut milk. Feed them through the tube just like you would produce to make juice. If you are using a Hurom, you do not need to strain. You’ll have delicious drink once you run all the nuts through the juicer. If you want to add extras like honey, do so now, do not add it to the juicer. Keep in mind you can also do this with several other juicers with a similar design, just look at your juicers manual. While I frequently do make this in my juicer, on most days I prefer to make it in my Vitamix. This is the same process as with a basic blender, just easier. You also don't have to wait for the nuts to soak all the way if you are using a Vitamix. If you are using a basic blender it is necessary to soak the nuts. I like the fact that the Vitamix will mix it all together for me without any hassle. It also seems quicker. You need a nut milk bag or cheesecloth, though, and that part isn’t so fun. However, it makes saving the pulp for dehydrated treats much easier. If you want chocolate almond milk, add about a tablespoon of cocoa powder. I mix this in the Vitamix for about a minute on variable speed 10, high. Make sure you touch the container to make sure it doesn’t get hot and cook it. It does get warm when processing. When its will combined, put the milk bag or cheese cloth over a bowl. Pour the milk into the bag (over the bowl). After it’s all in the bag, lift it up and strain it out, squeezing the nut pulp until all the liquid is in the bowl. This will separate most of the pulp. If you can’t stand even a little bit of pulp, empty the bag into a baggie to save for later use and strain the liquid through the bag again. This will ensure no pulp gets through. You will have to experiment with the amount of flavorings you add to your milk. I just put about a tablespoon of vanilla for every cup of nut milk I make. I also like to add more water to it, but that’s just my preference. Most homemade milks safely lasts for about 48 hours (72 is probably ok, but iffy). It’s best to pour your freshly made milk into a glass container and refrigerate it. 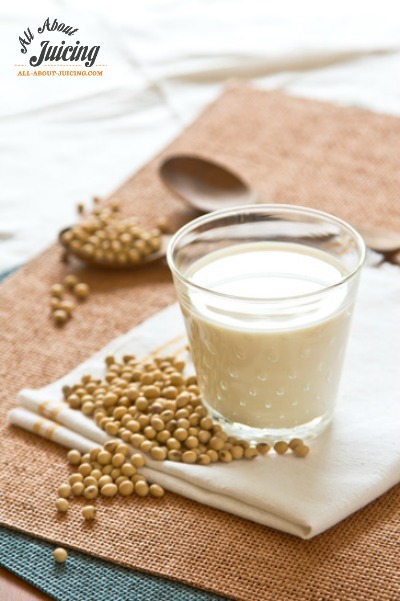 Homemade nut milk can be used in place of dairy. I can think of few situations where this wouldn't work. Use it in cereals, oatmeal, granola, puddings, smoothies, juice and nut milk beverages. You can be so creative with your own nut milk recipes. I personally love to make juice and nut milk combos. With juice nut milk beverages, you really should stick to a mono juice, meaning only one juice. This is not a rule, just a personal preference. It can get really weird tasting with too many flavors. 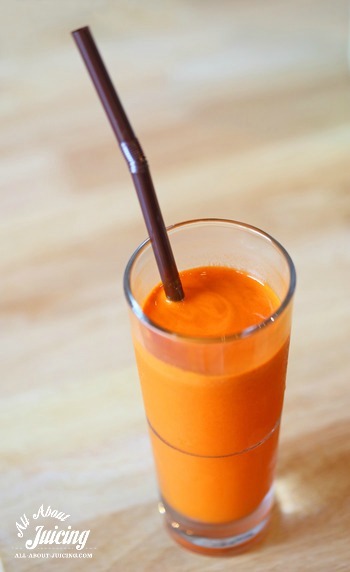 Carrots generally work really well with any nut milk. Tropical fruits and berries are also good options. You also want to make sure that your juice doesn't have too many additives like cocoa powder or honey. Just a plain nut milk works the best.